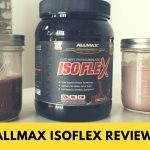 Home » AllMax IsoFlex Whey Protein Review – Worth the Price? AllMax is a supplement company that sponsors a lot of bodybuilders and figure athletes, which is why while they sell many kinds of protein, a lot of online discussion focuses on their mass gainers and fat burners. We decided to try their whey protein isolate, called IsoFlex. When we ordered it, we knew it was on the pricier side, so is it worth the cost? One scoop is about 30 grams and provides 110 calories: 25 grams of protein, 1 gram of carbohydrate, and no fat or sugar. That’s a very high protein per calorie ratio, and the low amounts of carbs and fat mean this can fit easily into low-carb, low-fat, low-calorie, and even ketogenic diets. One scoop delivers 6 percent of your daily calcium, 8 percent of your daily iron, and 5 percent of your potassium and sodium. Most protein powders provide more calcium, but on the other hand they tend to have more sodium. It’s worth noting that AllMax also includes the precise amounts of every amino acid it contains. If you’re the type to track your amino acids, a practice that’s not unheard of among elite athletes and vegans, you’ll be delighted by the nutrition label. 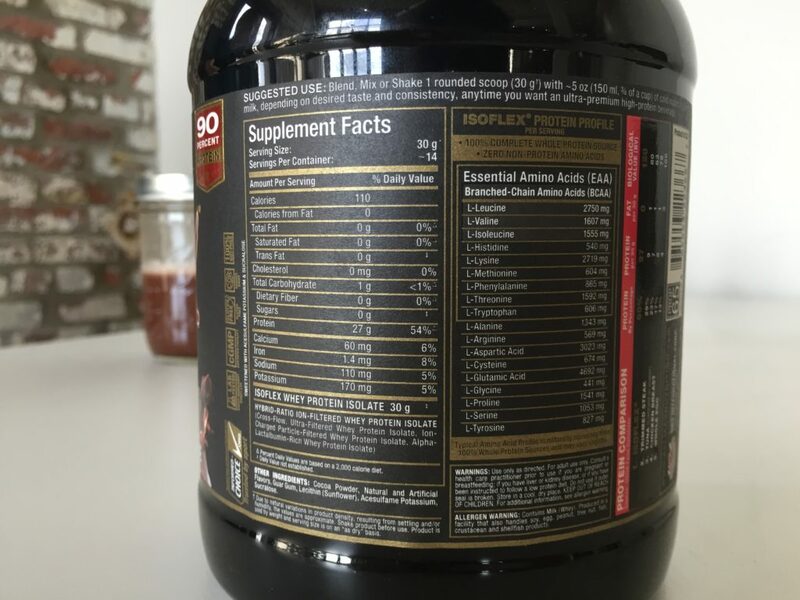 The ingredients list is comprised of whey protein isolate, cocoa powder, natural and artificial flavors, guar gum (a thickener and stabilizer made from a kind of bean), lecithin (from sunflower, not soy), and the artificial sweeteners acesulfame potassium and sucralose, also known as Splenda. There’s no gluten, lactose, soy, sugar, or fat. Some people insist that guar gum can cause intestinal distress, but this is only in large quantities. As far as controversial ingredients go, acesulfame potassium stands out the most. It’s widely considered harmless, but it’s probably the ingredient that health-conscious folks are most likely to avoid. 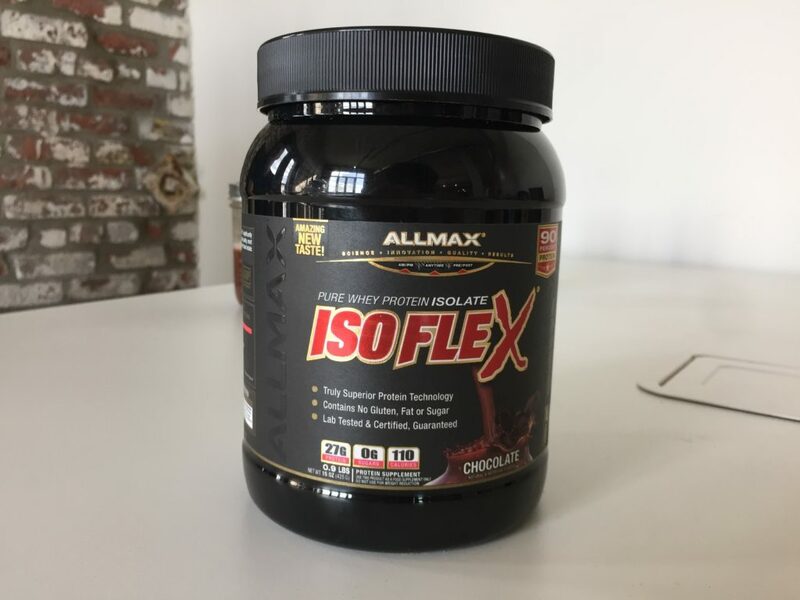 I’d be remiss if I didn’t point out the terminology AllMax uses to describe its “hybrid-ratio, ion-filtered” blend of whey isolates: cross-flow, ultra-filtered whey protein isolate; ion-charged particle-filtered whey protein isolate; and alpha-lactalbumin-rich whey protein isolate. Long story short, the filtration process is meant to ensure that very little of the whey is denatured. Meanwhile, the alpha-lacalbumin-rich whey may confer cognitive benefits by providing a little boost in serotonin. This is a whey isolate product, which means it’s very low in carbs and fat and that it digests quite quickly when compared to whey concentrate. That means it can be good for folks who need to drink something quickly before a morning workout, and the low calorie and carb count mean it can be helpful for weight loss. This product is very low on fillers: 30 grams gives you 27 grams of protein. There’s no added glutamine, creatine, or vitamins. It’s free from lactose, gluten, and soy, which is good news for those with allergies. But the fact that it’s free of lactose is probably why there aren’t any digestive enzymes, like aminogen and bromelain, added to this product. 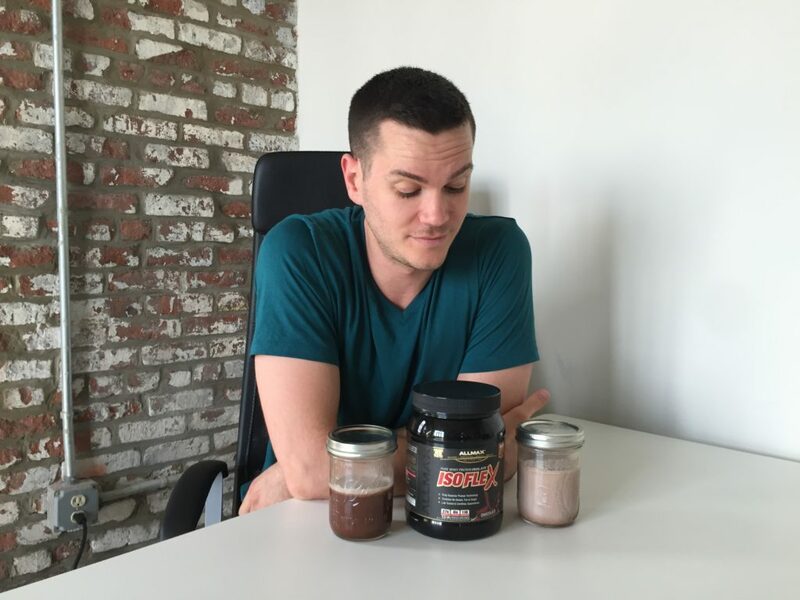 That means that if you have a particularly sensitive stomach when it comes to powdered proteins (even whey isolates cause flatulence in some folks), you might want to steer clear or add your own enzymes. What sets this apart from most proteins is that it’s been cold-processed. It’s controversial as to whether or not this makes a difference; the idea is that it helps to ensure that as little of the whey has been denatured as possible. If it does make a difference, it’s probably not enough for the average person to worry about. Also, remember that cooking almost any protein (like eggs) denatures it to an extent, and that process can actually make the protein easier to absorb. But if you’re an elite athlete who is as interested in the various weights of the amino acids as you are in the micro-filtration process, the cold filtration might appeal to you. This product comes in tubs that weigh 0.9 pounds, 2 pounds, and 5 pounds. The standard 2-pound tub is around $40 for 30 servings — that’s $1.33 per serving or 4.94 cents per gram of protein. If you’d rather buy the 5-pound size, you’ll be paying a little less at $1.17 per serving or 4.34 cents per gram of protein. That’s above average for whey protein, even for a whey isolate. Surprisingly, it’s cheaper than Optimum Nutrition’s Whey Isolate (4.48 cents per gram, 5-pound tub) but more expensive than isolates like Dymatize Iso 100 (4.22 cents per gram of protein, 5-pound tub), Isopure Low Carb (3.86 cents per gram, 3-pound tub), and BPI Sports’ Iso HD (3.48 cents per gram). With milk, IsoFlex mixes well, though I still found that I could feel a few granules when I drank it — I found it mixed better with water. But it didn’t mix great, while some protein powders quickly vanish into fluid and take a lot of time to settle again, AllMax started settling quite quickly. The chocolate flavor is nice and mild, which means it tastes awesome with milk but a little bland with water. So while it’s mild, I wouldn’t call it versatile — if taste is a big factor, stick to mixing it with some form of milk or maybe with a fruity shake. 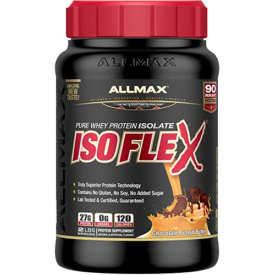 There are a lot of good things about AllMax IsoFlex: It’s low in calories, carbs, and fat, and it’s free from gluten, soy, and lactose. As for whether or not it’s worth the extra dollars, well, I get that it’s an isolate, so it’s pricier than your standard whey powder. But given there are a lot of other isolates on the market that are cheaper, I wasn’t totally convinced it was worth the price. If you’re a truly elite athlete and you’re really sold on the importance of having a cold-filtered whey, AllMax could be a good bet. But for much of the population, a less expensive whey protein isolate may also be a good option.